The apocalypse has never felt more tubular, as Shacknews goes hands-on with Double Fine's RAD at this year's Game Developers Conference. The world is a dangerous place after the apocalypse. It's a wasteland, where everything is out to kill you. It's a total dystopia, filled with nuclear fallout and monstrous mutants out to kill everything. Now imagine what the world would look like after two apocalypses! 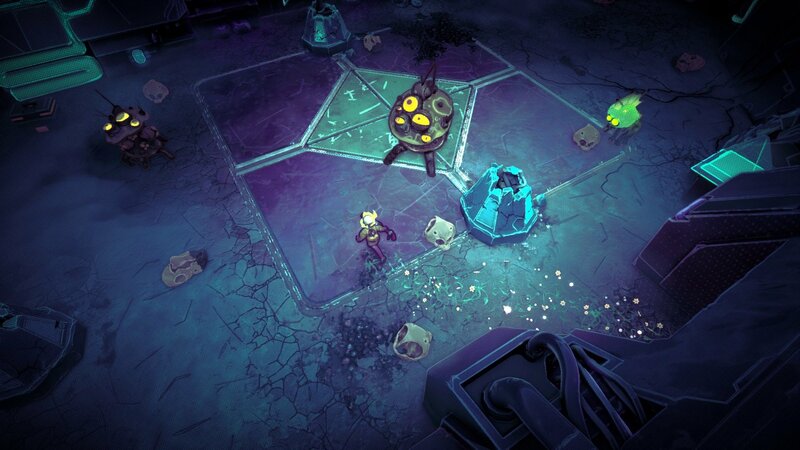 That's the idea behind RAD, a new 3D action roguelike from Double Fine and Bandai Namco. It's double apocalypses for double the fun! "[RAD] is a world that's been hit by not one, but two apocalypses, so we call it the post-post-apocalyptic game," creator Lee Petty told Shacknews. "There was the first apocalypse, which happened in the 80s. It's the more conventional nuclear apocalypse. And then hundreds of years later, there was another civilization that rose up, this mysterious science fiction-esque civilization called the Minders and they suddenly disappeared. And as a player, you're not sure why or what happened, but they left behind, on the wasteland that we call the Fallow, all these strange machines." Shacknews hit the floor at this year's Game Developers Conference to get a first look at the Fallow. 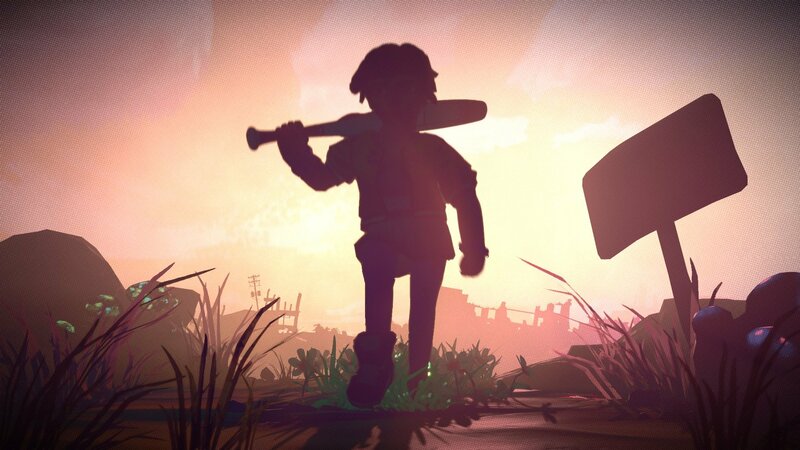 RAD puts players in the role of a teenage protagonist. However, he or she is not the only one. This being a roguelike, players will die more than once. In fact, they'll probably die a lot. Once a character is dead, they're dead, which means a new character needs to step forward. The object is to help restore a rapidly-failing power source that's keeping the human encampment safe from the deadly atmosphere, but that means sending young would-be heroes out into the world. Once outside, players can only defend themselves with a bat and are rapidly exposed to dangerous toxins in the atmosphere. However, prior to going out into the Fallow, they've been genetically altered to adjust to these toxins. As players defeat more and more enemies and absorb the air's "rads," they'll soon go through their first mutation. Mutations are the central gameplay feature for RAD, as players will see their character take on any one of dozens of random mutations. "When you're playing, you mutate randomly," Petty added. "And when you mutate randomly, what that means is, we always visualize mutations on the player character and our take on the roguelike is challenging players to adapt their play style based on the mutations they're given." Mutations are mapped out to one of the three shoulder buttons on a controller, depending on their function. Some of the mutations are geared towards offense. One example has players fire off their own heads, which explode on contact, before growing back a new one. Another example had our player grow a lobster-like arm that could be thrown like a boomerang. A third example had us sprout wings, which had no offensive purpose, but did allow our character to reach previously-inaccessible areas. 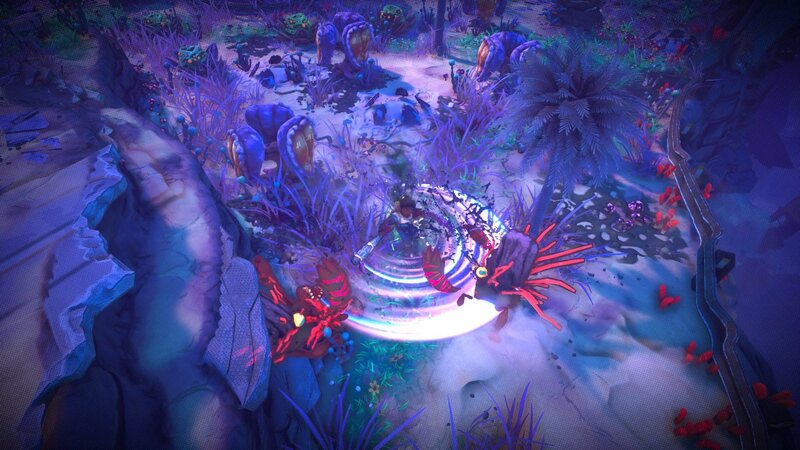 Players can stack up to three exo-mutations over the course of the game, some of which can stack their abilities for greater power. Exo-mutations can level up throughout the game, which will affect both their capabilities on the battlefield and also the player's appearance. There are also more minor endo-mutations that can be stacked up endlessly, which will affect player stats. Think of this as similar to modern classic indie games like Rogue Legacy, where each new playthrough feels like a different experience. But like those games, there's no real way to keep any particularly cool mutations you encounter. If it's gone, it's gone. With that said, there is a way to re-roll in order to get rid of any unwanted mutations. "What you can do in later levels, we have different types of mutation machines," Petty said. "They do some hidden mysterious things and one of them lets you ditch something you don't want. Another one lets you level up the mutation you do like. You do have some agency, but our goal is to make this an unpredictable experience and create the unexpected drama that we love in roguelikes." Enemy types look straightforward, from average slimes to flying creatures. But as players level their mutations up, the stages are set to get more difficult. While Shacknews didn't have time to dive further into the game, our limited time with RAD did show off some objective-based puzzles, with the idea being to activate a pair of switches on opposite sides of the level to advance to the next area. One thing we did notice after dying the first time was that the stage layout was noticeably different with our second go-around, implying that stages may be procedurally designed. This is just the beginning of what should be an interesting journey. There's much more to see with RAD and after this hands-on, it's a game that Shacknews will monitor closely. RAD is set to release this summer on PC, PlayStation 4, Xbox One, and Nintendo Switch. The Steam closed beta is set to kick off on April 8. Sign-ups for the closed beta can be found on the Bandai Namco website.